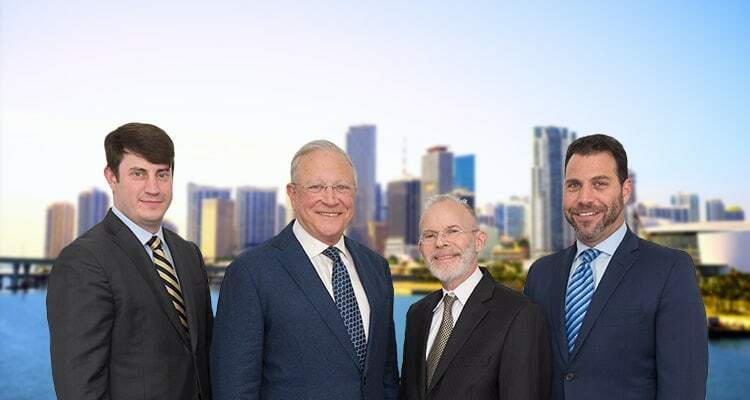 Contact West Palm Beach, Florida Personal Injury Attorney Gerson & Schwartz, P.A. While the attention of the premises liability bar was focused on the ultimately unsuccessful legislative attempt to amend Section 768.81, Florida Statutes so as to allow apportionment of fault to an intentional tortfeasor under Fabre v. Marin, 623 So.2d 1182 (Fla. 1993), there were several significant judicial opinions during the past year dealing with premises liability. Summaries and analyses of the most significant cases follow. Vazquez was an action brought by the survivors of a guest murdered while visiting a friend on condominium premises controlled by the defendant Lago Grande Homeowners Association. Lago Grande advertised to its unit owners that it provided security and collected a fee to provide it. The condominium complex had three entrances, each containing a guardhouse staffed with a guard. The post orders incorporated in the contract between Lago Grande and its security contractor required the guards at each entrance to stop everyone attempting to enter the complex, whether by vehicle or on foot. The security guards were to check the identification of residents and to call any residents being visited to obtain permission for visitors to enter. Notwithstanding these post orders, visitors entering by foot were rarely stopped, and Lago Grande had received complaints about this failure. The decedent was a friend of a Lago Grande unit owner who frequently visited the unit owner on the premises, accompanied by her children. The decedent's ex-husband initially also visited to pick up the children, but quarreled with the unit owner. The unit owner eventually told guards at the north entrance to the complex not to let the ex-husband in and to call her if he attempted to enter the premises. Notwithstanding this explicit request and the post orders requiring guards to stop all visitors, including pedestrians, the guards at the north entrance allowed the ex-husband to enter the premises, armed, while the decedent was visiting the unit owner. He proceeded to the unit and confronted his ex-wife for fifteen to twenty minutes before shooting and killing her, shooting and wounding the unit owner, and killing himself. The plaintiffs sued both Lago Grande and its security contractor for negligence. The defendants moved for a directed verdict. The jury found the defendants negligent, apportioning 90% of the fault to the security contractor, 1% to Lago Grande, and 9% to a nonparty management company. The trial court granted post-trial motions to enter judgment for the defendants, ruling that they had no duty to the plaintiffs because there was no evidence of prior similar crimes on the condominium premises and no evidence either defendant knew or should have known that the ex-husband specifically was violent or dangerous. The Third District reversed and remanded with directions to enter judgment based on the verdict. The Vazquez court noted that a premises owner indeed had a common law duty to keep invitees on the premises reasonably safe from third party criminal attack. Under Third District precedents, proof of "prior offenses, giving rise to the foreseeability of future ones," appeared necessary for recovery under this common law negligence theory. See, e.g., Ameijeiras v. Metropolitan Dade County, 534 So.2d 812 (Fla. 3rd DCA 1988), review denied, 542 So.2d 1332 (Fla. 1989). More precisely, the Third District precedents required proof of prior offenses where the plaintiff claimed that a premises owner should have foreseen the likelihood of future crime in general. Vazquez, 900 So.2d at 592. A plaintiff may also prove foreseeability, even in the Third District, by proving that the owner knew or should have known of the dangerous propensities of a particular assailant, although the Vazquez court did not address this point. See, e.g., Hill v. City of North Miami Beach, 613 So.2d 1356 (Fla. 3rd DCA 1993). Also not mentioned in Vazquez is the analysis of some Florida courts outside the Third District, which have questioned or rejected the prior crimes requirement and allow proof of foreseeability by other types of evidence. See, e.g.., Foster v. Po Folks, Inc., 674 So.2d 843 (Fla. 5th DCA 1996); Schmidt v. Towers Construction Co., 584 So.2d 630 (Fla. 1st DCA 1991). The Vazquez court nonetheless found that the defendants owed a duty to the plaintiffs on an "entirely separate" and "well-recognized" basis, namely that the defendants had undertaken, by entering into the security services contract and issuing the post orders, specified measures to secure the condominium premises and had failed to comply with their undertakings. Vazquez, 900 So.2d at 593. Where liability was based on a breach of a contract to provide security or a failure to fulfill a voluntary undertaking to provide security, proof of prior incidents was unnecessary; foreseeability was irrelevant once a premises possessor or security contractor had assumed a duty to provide security. Id., citing Mata v. Mata, 105 Cal.App. 4th 1121, 1129-30, 130 Cal. Rptr. 2nd 141, 145-46 (2003). While the Vazquez court described the effect of a voluntary undertaking to be making a foreseeability analysis irrelevant, one might also argue that by agreeing to provide a given level of security, a premises operator or contractor is necessarily acknowledging that it foresees a concomitant security need. In either event, "since the very purpose of what [Lago Grande and the security contractor] agreed to do was to exercise reasonable care to prevent any criminal incident from occurring, it cannot matter that the deadly incident in question was the first one." (emphasis in original). Vazquez, 900 So.2d at 593. Lago Grande and the security contractor therefore had a duty to the plaintiffs based on their failure to fulfill their undertaken security duties, whether or not the proof of prior crimes on the premises would be adequate to establish foreseeability under the existing Third District foreseeability test. The principal significance of Vazquez lies in its explicit acknowledgment that a negligent breach of voluntarily undertaken security obligations is a basis for liability wholly independent of the traditional foreseeability analysis. This holding opens up possibilities of recovery even in cases where evidence of prior similar crimes or of the defendants' knowledge of the assailant is skimpy. Another important point, discussed in footnote 7 of Vazquez, is the relationship between the liability of the premises owner and the security contractor for breach of security undertakings. The court explained that the association could be liable for its independent negligence in retaining the security contractor after receiving complaints about its deficient performance. The association would also, however, be vicariously liable for the security contractor's negligence because its express or implied agreements with its members regarding security (i.e., advertising to its members that it provided security and collecting a fee from them to provide the security) imposed a non-delegable contractual duty to provide security. Vazquez, 900 So.2d at 594 n.7. Thus, it appears that a premises owner's contractually undertaken duties to provide security are to be deemed nondelegable. Cf. U.S. Security Services Corporation v. Ramada Inn, Inc., 665 So.2d 268, 270-71 (Fla. 3rd DCA 1995)(duty of innkeeper to provide its guests with reasonably safe premises, including reasonable security measures, is nondelegable). It also appears that acts as simple as using representations of security to market a business or premises and collecting a fee to provide security may be deemed to create this nondelegable contractual duty. Thieves broke into warehouse space D& H Distributing Corporation rented from Parkway Commerce Center and stole merchandise. Philadelphia Indemnity Insurance Company paid for D & H's loss, less the applicable deductible. Philadelphia Indemnity, as subrogee, then sued Burns International Security Services, Inc., the security contractor for the warehouse. D & H also sued to recover its deductible. Burns defended by arguing that it owed no duty to warehouse tenants such as D & H because there was no evidence of a prior similar crime on or near the warehouse property. The Fourth District Court of Appeal rejected this argument because the defendant was a security contractor, not the owner or manager of the warehouse. The Fourth District in Burns divided negligent security actions into three categories. First were actions brought against premises owners or operators for negligently providing security. Second were actions against tavern owners. The third category consisted of actions brought directly against allegedly negligent security providers. Burns, 899 So.2d at 363-64. While the court's discussion of actions against premises owners and operators and tavern owners was highly abbreviated, the court appeared to be suggesting that in those types of cases a traditional foreseeability analysis did or could apply. The court clearly stated, however, that actions directly against security providers rested on an entirely different basis from actions against premises owners and operators. Following Vazquez, the Burns court reasoned that the duty of the security provider arose not from the foreseeability of crimes on the premises but from the provider's explicit contractual undertaking to protect the property. Since the "very purpose of what Burns agreed to do was to exercise reasonable care to prevent any criminal incident from occurring ... it cannot matter that the incident in question was the first one." Id. at 365. Burns also addressed the applicability of Fabre to negligent security actions. The current version of Section 768.81, as interpreted by the Florida Supreme Court, prevents a non-party intentional tortfeasor from being placed on a verdict form for the purpose of Fabre apportionment. E.g., Merrill Crossings Associates v. McDonald, 705 So.2d 560 (Fla. 1997). The Burns court pointed out, however, that nothing prevents Fabre apportionment in a negligent security case between a defendant and negligent non-parties. In Burns, the jury apportioned percentages of fault to ADT Security Services, Inc. and to the warehouse operator, Parkway Commerce Center. The court reminded the bar that this apportionment to negligent non-parties was perfectly proper under Fabre and Merrill Crossings. Burns, 899 So.2d at 366. If the ruling of the Vazquez court that a premises owner's undertaken duty to provide security is nondelegable, giving rise to vicarious as well as independent liability, becomes established, apportionment calculations between premises owners and security contractors may become quite complicated. Cf. U.S. Security Services Corporation, 665 So.2d at 269-70 (in a negligent security case, innkeeper Ramada was properly held liable both for its independent negligence and for the negligence of its security contractor, for which it was vicariously liable). Sherwood was assaulted and injured while attending the "Bushwacker Festival," an event featuring large crowds of people consuming alcoholic beverages. The festival took place on premises including a parking lot owned by the Santa Rosa Island Authority but temporarily used by Quietwater Entertainment, Inc. while it was sponsoring the festival. The Authority required Quietwater to execute a "temporary use agreement" for purposes of the festival, which required Quietwater, at its expense, to provide additional security personnel for the Authority's "public facilities" on the premises. Under another lease between the Authority and Quietwater, the definition of "public facilities" on the premises included the parking lot, and the temporary use agreement contemplated that Quietwater would place food and beverage stands on the parking lot. The altercation leading to Sherwood's injuries began on a boardwalk the Authority owned but spilled over into the parking lot being used by Quietwater, where it ended. Sherwood sued Quietwater for negligently providing inadequate security at the festival. The trial court entered summary judgment for Quietwater on the ground that the Authority rather than Quietwater had exclusive control over the parking lot. The First District Court of Appeal reversed, noting that the temporary use agreement could be construed to give Quietwater at least a temporary right to control the parking lot, and that even temporary control over premises, for purposes of a specific event, was sufficient to impose a duty to provide security to invitees attending the event. Sherwood thus serves as a useful reminder that duties under premises liability theories, including the duty to provide security, arise from control over the premises rather than ownership, and that even temporary or partial control, such as hosting a special event, is sufficient to trigger the duty to provide appropriate security. The Sherwood court engaged in a foreseeability analysis that may or may not be consistent with Vazquez and Burns. The court noted that, based upon both "Festival history and human nature," the combination of large crowds, revelry and alcohol consumption created an "abnormal risk" of violence. The court did not enumerate, however, any particular prior violent incidents at the festival. The court also noted that Quietwater was aware of the special security problems the festival created because the temporary use agreement spelled out requirements for extra security and insurance for the event. These factors, taken together, created a genuine issue of fact as to Quietwater's duty. Thus, as in Vazquez and Burns, a contractual undertaking to provide security substituted for evidence of foreseeability based on prior incidents. The Sherwood court, however, appears to have been applying a totality of the circumstances foreseeability analysis rather than considering Quietwater's contractual undertaking as an independent basis of liability. During spring break in 2001, a number of intoxicated college students were partying at a room in the defendant's motel. A security guard walking past a room where students were partying noticed an injured person lying on the floor. The guard ordered everyone else in the room to leave while she called police and emergency medical personnel. Among those who left the room when ordered was one Derrick Smith, whom the guard knew to be intoxicated. Smith was not a registered guest at the motel. Smith went to the motel parking lot, drove away still intoxicated, and rear ended another vehicle, killing one occupant and seriously injuring another. Aguila, as personal representative of the occupant Smith had killed, sued the owners and operators of the motel. He alleged that the motel operators were negligent by promoting their motel as a site for spring break partying, which they knew or should have known would bring underage drinkers operating motor vehicles to the motel. Aguila further alleged that the defendants were negligent in hiring only one security guard for the premises, who could not adequately patrol both the interior of the motel and the parking lot. The defendants moved to dismiss for failure to state a cause of action, the trial court granted the motion and dismissed, and the First District affirmed. The First District pointed out that a duty to control the actions of another to prevent harm to a third person arises only when there is a special relationship, either between the defendant and the person harmed or between the defendant and the person doing the harm. Such special relationships either give the defendant the right and duty to control the actions of the perpetrator or place the defendant on notice that it has a duty to protect individuals with a specified status from harm caused by a perpetrator. Aguila, 878 So.2d at 398-400. For example, a tavern serving alcoholic beverages to a minor has a special relationship with the minor sufficient to make it liable if the intoxicated minor causes a motor vehicle accident. Special relationships also exist between landlords and their tenants, innkeepers and their guests, schools and their students, and business operators and their invitees. Id. at 398-99. These relationships impose a duty to take reasonable measures to protect the tenants, guests, students or invitees from foreseeable criminal attack, or, as in Vazquez, to implement voluntarily undertaken security measures. In Aguila, the First District found that no special relationship existed either between the motel and Smith or between the motel and Aguila's decedent. The motel had no relationship at all with the decedent; the accident happened off the motel premises and she was neither a guest nor invitee of the motel. Smith was not a registered guest at the motel, and no employee or agent of the motel had served him alcohol. The security guard did not undertake to control Smith's conduct; she merely ordered him to leave the particular room where she found him, not to leave the motel. What he did afterwards, whether remaining in another part of the motel, leaving on foot, leaving as a passenger in someone else's vehicle, or leaving by driving his own vehicle, was up to him. Aguila, 878 So.2d at 397, 399. Thus the motel had no special relationship with Smith such as might have existed if Smith were a registered guest at or employee of the motel or a person served alcohol by the motel, or if the security guard had undertaken to control his conduct by explicitly ordering him to remove his vehicle. Cf. Bardy v. Walt Disney World Co., 643 So.2d 46 (Fla. 5th DCA 1994), review denied, 651 So.2d 1197 (Fla. 1995)(Disney could be liable for injuries in a single vehicle accident caused by an intoxicated employee driving away from the premises where a Disney security guard had not only ordered the employee to leave but had also specifically instructed the employee to remove his vehicle despite his protestations that he was too intoxicated to drive); Carroll Air Systems, Inc. v. Greenbaum, 629 So.2d 914 (Fla. 4th DCA 1993)(employer could be liable for fatal accident caused by intoxicated employee driving away from a convention where the employer had paid for the employee's drinks at the convention as a business expense and knew or should have known that the employee was intoxicated). The motel had no relationship at all with the decedent. The court also suggested that the guard could not have taken any lawful action to prevent the accident; the court decided that she could not have known that Smith, as opposed to all the other intoxicated partiers, would drive while intoxicated and cause an accident. The guard also lacked the power or legal right to detain all of the intoxicated students. The ultimate conclusion of the court, therefore, was that the motel could not have prevented the motor vehicle accident off its premises, had no independent duty to do so, and was not vicariously liable for Smith's intoxicated driving. Aguila, 878 So.2d at 397-400. The significance of Aguila is as a reminder that liability for injuries caused by criminal attacks is not open ended; proof of some "special relationship" between the defendant and the plaintiff (or the perpetrator) is still necessary in a negligent security action. The practical impact of Aguila in negligent security actions should be limited, however. The common situations in which injured crime victims bring such actions do involve special relationships, for example, the relationships between an innkeeper and its guest, a school and its students, a landlord and its tenant, and most frequently a business operator and its invitee. When K.M. was seven, her mother worked at a Publix supermarket. The mother's work schedule required her to arrange child care for K.M., which she did by privately requesting another Publix employee, one Robert Woodlard, to babysit. The mother made her agreement with Woodlard without the participation of Publix management. At the time, Woodlard was on parole from a previous conviction of attempted sexual battery on a minor under 12. The mother did not know this, but the store manager for whom both the mother and Woodlard worked did. The store manager also knew that Woodlard was babysitting K.M., but failed to advise the mother of Woodlard's background. While babysitting K.M., Woodlard sexually abused her. K.M. through her father sued Publix, alleging a negligent failure to warn K.M. 's mother of Woodlard's propensity to abuse children. The trial court granted a motion to dismiss and the Fourth District affirmed. While commenting that the case was "unfortunate," the Fourth District reluctantly noted that, according to the Restatement (Second) of Torts, Section 317, the duty of a master to control a servant extended only to acts performed on the master's premises, acts performed on premises the servant is privileged to enter only as the master's servant, or acts performed with the master's chattels (e.g., corporate vehicles). K.M., 895 So.2d at 1116-17. While not expressly mentioned in the opinion, an employer would presumably also have a right and duty to control actions taken by employees in the course and scope of employment. Since Woodlard did not commit his crimes in the course of his employment, was not babysitting on the work premises or during working hours, was not recommended to K.M. 's mother by Publix, and did not use any Publix vehicles or other Publix property to perform his crimes, Publix had no duty to control his actions, not even a duty to warn his fellow employees about his dangerous propensities. K.M., 895 So.2d at 1118. The result presumably would have been different had Woodlard been providing his babysitting service on Publix property or during his work hours at Publix, or if Publix management had sponsored the babysitting service or had affirmatively recommended Woodlard as a babysitter. On March 4, 2004, a tenant at the residential apartment complex defendant Regal Trace, Ltd. and codefendants operated sexually assaulted a nine year old girl (not T.W.) on the apartment complex premises. A few days later, law enforcement personnel advised the apartment manager that an incident had occurred on the premises, but according to the manager requested her not to inform the other tenants in order to prevent hysteria. On March 20, 2004, the tenant who had committed the previous assault followed T.W., another minor residing at Regal Trace, as she walked from her apartment to school. He approached T.W. three blocks away from the Regal Trace premises, took her to an abandoned building, and sexually assaulted her. After T.W. through her mother sued Regal Trace and others, the defendants moved for summary judgment, which the trial court granted. The Fourth District Court of Appeal reversed and remanded. The Fourth District first noted that the relationship between landlords and their tenants is a firmly recognized "special relationship," imposing on landlords the duty to protect their tenants from reasonably foreseeable third party criminal conduct. T.W., 30 Fla. L. Weekly at D1515, citing Salerno v. Hart Financial Corporation, 521 So.2d 234, 235 (Fla. 4th DCA 1988). Since law enforcement personnel had admittedly advised the property manager, at least in general terms, about the prior sexual assault on the premises, there was sufficient evidence to find that Regal Trace knew or should have known of the prior assault. Another sexual assault on a tenant was therefore reasonably foreseeable, triggering a duty to take reasonable measures to prevent it such as warning the other tenants. T.W., 30 Fla. L. Weekly at D1515; cf. Lambert v. Doe, 453 So.2d 844 (Fla. 1st DCA 1984)(landlord had duty to warn prospective tenants about another tenant known to have committed sexual assaults on the premises). Regal Trace argued, however, that the assault on T.W. occurred outside the scope of its duty to warn because it occurred off of the apartment complex premises. The court rejected this argument, concluding that the duty of a landlord to provide safe housing to its tenants incorporates the security of areas surrounding the apartment complex and essential to living there. T.W., 30 Fla. L. Weekly at D1515. The court also noted both that Regal Trace had superior knowledge of the hazard (i.e, the apartment manager knew about the prior sexual assault but failed to warn the tenants) and that Regal Trace, as a landlord, was in the business of providing safe housing. One might also note that the assault on T.W. in effect began on the apartment complex premises since the assailant resided there and followed T.W. from there, although the T.W. court did not state its reasoning in those terms. The court concluded that Regal Trace and the other defendants, as a matter of law, had a duty at least to issue a basic warning to their tenants that an alleged criminal sexual assault on a minor had occurred on the premises. Id. at D1516. The T.W. court distinguished K.M., on which Regal Trace relied, on the basis that providing babysitting services for its employees was not part of the business of Publix, while providing safe housing for tenants is part of the recognized business of a landlord. T.W., 30 Fla. L. Weekly at D1515. Indeed, as noted above in the discussion of K.M., Publix had no role at all in arranging the babysitting activity in that case, which the two employees involved arranged privately between themselves.